The story opens with a member of the Virginia Law Enforcement Unit, Gabe Lange, chasing down a criminal named Luke. Gabe gets blindsided by Luke with an attack from behind and, when he wakes, his uniform is missing. It is Christmas Eve, and they are in the Blue Ridge Mountains in Virginia. The MacDougal family is meeting up at their cabin in the mountains to celebrate the holidays together. Morwenna works in advertising and marketing, but her passion is drawing. She thought that she’d be able to put her artistic skills to use at work, but her time is spent in the boardroom instead of the drawing table. 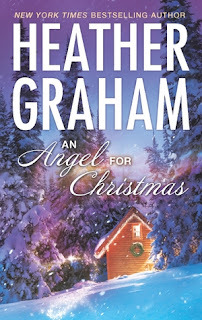 Her older brother, Shayne, is a doctor who is going through a rough time with his family. His wife, Cindy, was tired of raising the children alone and feeling lonely in their marriage, so they are heading for a divorce. Bobby is the baby of the family, who has a love of music but is afraid to follow his dream and disappoint his parents. The siblings aren’t exactly close, and they squabble quite a bit. The MacDougals find a man half buried in the snow, who claims to be Gabe Lange. Or is it? The family doesn’t know whether they should trust him or not, because all they have to go on is his word. With the stormy weather, he needs shelter and they take him in. Eventually, Luke appears and claims that he is searching for Gabe to apprehend him. The family doesn’t know who to believe! This is a little different than your typical “feel-good” Christmas story. I love that it’s centred around one family, and how each character seems to undergo a bit of a metamorphosis as a result of their visitors. They are transformed for the better and the family as a unit is brought together by what takes place and they are reminded of what is important in life. 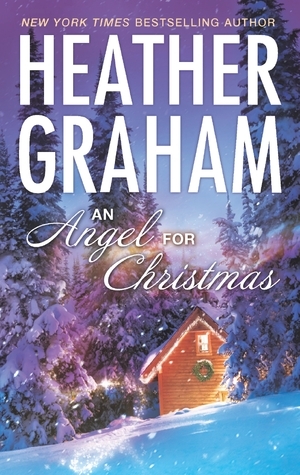 While it’s not as good as Graham’s A Magical Christmas which I read last year, I still enjoyed it and will continue to read more from this author.